Welcome to October, a brand new month. It’s been a very fun and busy September for us. My father visited and stayed with us for 3 weeks. He’s been very helpful in watching our son and dog. Our son has grown attached to his grandpa quickly. Every parent knows that it’s really nice having an extra set of hands to distribute responsibilities. Benjamin is growing so fast. Raising a child takes a lot of energy, especially when your child runs around with non-stop energy. 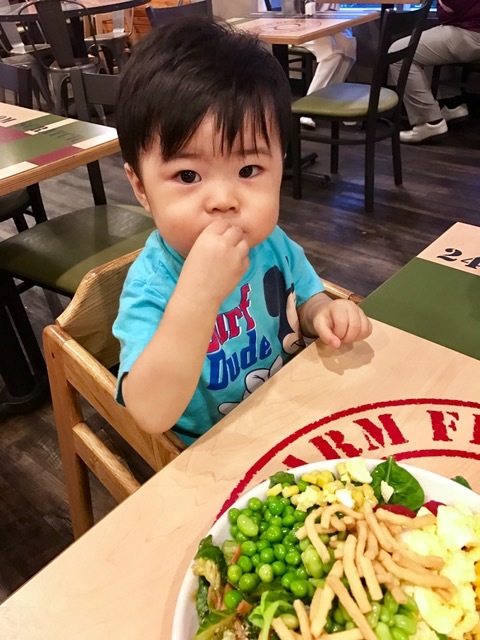 It seems like every few days, there is a new milestone: taking his first steps, saying new words, feeding himself and more. He’s always trying to explore all the areas of our home. He opens cabinets, flips light switches, and climbs onto everything. He also is developing his own personality. He is quite the little joker. 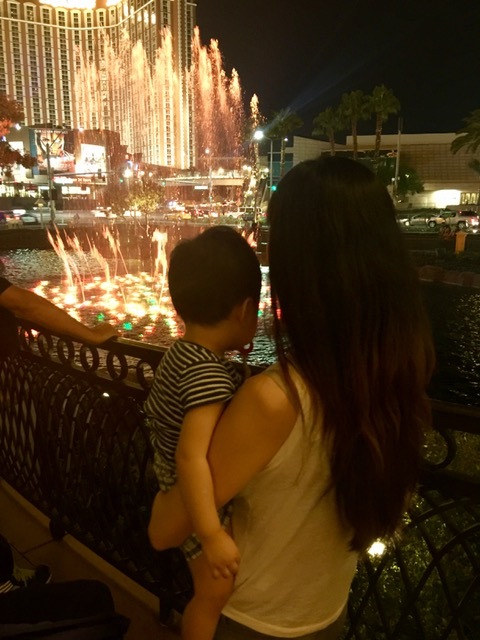 Earlier last month, I brought my family along for a 4-day visit to Las Vegas with me on a business trip. Our son loved seeing all the new lights, colors and sounds. We dropped by the Mirage Secret Garden & Dolphin Habitat. Ben loved getting an up close look at the dolphins and wild cats. He also enjoyed watching the water fountains at the Wynn. Here’s our monthly summary of side income that we have generated in the previous month of September. No award travel redeemed this past month. However, I am very excited about getting 100,000 Chase Ultimate Rewards points from my new Chase Sapphire Reserve credit card! On 9.12, I received a $300 statement credit from Chase on my Chase Sapphire Reserve credit card. I had spent $432.66 purchasing a round trip business class ticket for our son from Los Angeles to Tokyo (For international flights on Singapore Airlines, child under 2 years of age pays 10% of the full fare adult fee (each business class ticket would have cost $4,326.60 – thankfully we have points J). Since this was a travel expense, Chase gave me a $300 statement credit for the purchase. An awesome annual benefit of the Sapphire Reserve card. On 9.19, I received a $15 Visa Debit Gift card for a promotion for buying Visa gift cards at Staples (Buy $300 or more in Visa Gift cards, get $15 rebate gift card). On 9.21, I received a $100 statement credit on my Chase Sapphire Reserve credit card. I bought my dad Global Entry for $100 as a gift, since he travels frequently and could use the benefit. I received the $100 statement credit as soon as my charge cleared. This is another awesome benefit of the Sapphire Reserve card. On 9.23, I received a check for $137.50 for teaching at the local university. I really enjoy teaching and working with the students. On 9.1, I received a check for $600 from our temporary housemate. On 9.4, we received a net profit of $430 from our rental property. All of this totals $1,590.50 from our side hustles for the month of September. With expensive property taxes coming up soon, we’ll take all the help we can get from side hustle income. Next month we are expecting more side hustle money.